S7 Technics (S7T), Russian aircraft maintenance, repair and overhaul (MRO) specialist, has purchased new hi-tech equipment for its Moscow, Domodedovo airport-based shop for repairs and sewing of interior textile elements. The move is part of the company’s broader programme for the continuous upgrading of its production facilities. In 2018, the Domodedovo facility started providing fully-fledged operations of imported leather lamination equipment and a special cutting machine, thus offering its customers a wider range of services that are unique for the Russian and CIS markets. 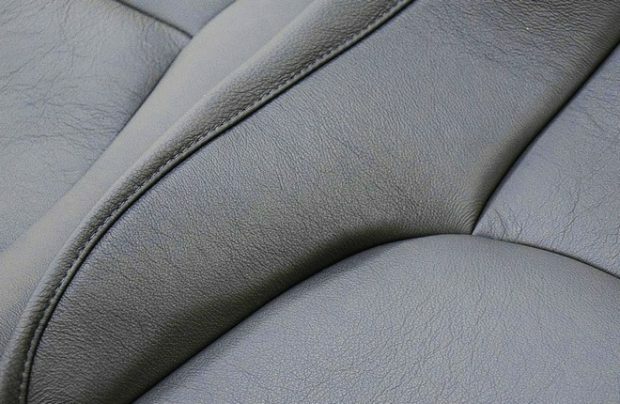 Leather lamination not only helps reduce the weight of aircraft passenger seats, but also makes them more durable. “The leather lamination technology makes it possible to eliminate foam seat bottoms and backrests. It also slows wear and thus prolongs the brand new appearance of the seat covers. There are no similar production sites for such seat covers in Russia. We are the first,” comments Tatiana Kharitonova, director of the sewing shop. The cutting machine was purchased as part of company’ policy of continuous improvement of the quality of its services whilst increasing the automation of its production processes, says S7T. The sewing shop uses the cutting machine to cut parts of seat covers for both economy and business class seats. “The new machine helps us reduce the labour-intensity of seat cover production and completely eliminates manual labour in the cutting process,” Kharitonova further explains. Russia’s airlines, including S7 Airlines, Pobeda Airlines, Rossiya Airlines (both – Aeroflot group carriers), Ural Airlines, Yamal, Alrosa are already availing themselves of the new S7 Technics’ sewing services. The Domodedovo-based interiors repair and sewing shop offers a wide range of services varying in their complexity. The S7 Technics Moscow EASA Part 145 certification covers more than 1,000 components at a facility that employs 33 specialists – 22 of whom have received training in European centres and 11 at S7 Technics’ own in-house training facility. Elsewhere in Russia, S7 Technics base at Novosibirsk’s Tolmachevo airport in Siberia is also offering aircraft interior repairs and sewing services. For the last five years the two facilities in Moscow and Novosibirsk have jointly repaired and produced almost 100,000 components. Last year, their combined production output rate increased by 30 per cent over 2017.